Before getting to William Jefferson, this reminder: Frederic Bourke is scheduled to be sentenced in Manhattan today (Tuesday, November 10) at 2:30 pm. He could be jailed for up to ten years for conspiracy to violate the Foreign Corrupt Practices Act and lying to federal investigators. Now Jefferson: He'll learn his sentence this Friday in Alexandria, Virginia. Prosecutors want him jailed for 27 to 33 years. And once again there's a question whether the jury found Jefferson guilty of any FCPA-related offense. This time the answer could influence how long he'll spend behind bars. Here's the issue. The former nine-term congressman was convicted in August on 11 of 16 corruption charges. He was acquitted on Count 11 of the indictment -- the only substantive FCPA charge he faced. But the jury convicted him on Count 1. It alleged three separate illegal conspiracies -- to solicit bribes, deprive citizens of honest services, and violate the FCPA. The jury's verdict form did not require it to specify which of the three illegal conspiracies the panel believed he engaged in. So Jefferson's conviction on Count 1 may or may not have included a finding that he conspired to violate the FCPA. Since the verdict, many have wondered whether Jefferson was really convicted of an FCPA-related offense. Could he have been acquitted of the substantive charge and convicted on the conspiracy? Our view (here) was yes, the jury could have convicted Jefferson of conspiracy to violate the FCPA. The evidence supported it. And a guilty verdict recorded for Count 1 meant all three alleged conspiracies could be presumed proven, including the FCPA-related charge. The government has now said the same thing in its sentencing memo: "The verdict form completed by the jury on August 5, 2009 did not require the jury to delineate which, if not all, of the objects charged in the conspiracy in Count 1 were found to have been proved, only that at least one of the objects was proven by the government beyond a reasonable doubt." Jefferson's lawyers argue that based on the facts, the jury couldn't have convicted him of the FCPA conspiracy once it acquitted him of the substantive FCPA offense. Will Judge Ellis use the FCPA-related conspiracy element to calculate Jefferson's sentence? We hope not. Trying to read the jury's mind when imposing a sentence on any defendant is wrong. In Jefferson's case, not requiring the jury to declare which of the three conspiracy objects it voted to convict on was an error. 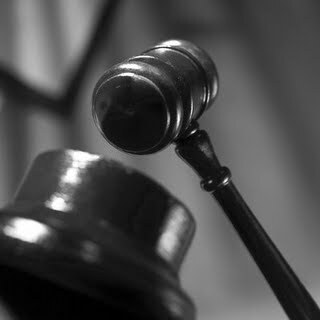 Fundamental to a defendant's rights at trial and for appeal is jury accountability. That accountability was lacking as to Count 1. So the count should be tossed as to all three conspiracies it alleged, and none of them should be included in the sentencing computation. William Jefferson is scheduled to be sentenced on November 13, 2009 at 9:00 am in the U.S. District Court for the Easter District of Virginia (Alexandria Division) by Judge T.S. Ellis, III. Download a copy of the government's sentencing memorandum in U.S. v. Jefferson dated November 6, 2009 here. Download a copy of William Jefferson's memorandum in aid of sentencing dated November 9, 2009 here. The D & O Diary reports the resolution of an FCPA-related civil suit on November 6, 2009 against Nature’s Sunshine Products. The company agreed to pay $6 million. The plaintiffs in the securities lawsuit had alleged the company lacked appropriate internal controls and that its books and records did not reflect the foreign transactions. In late July, the SEC filed a settled enforcement action against Nature's Sunshine Products Inc. (NSP), its CEO Douglas Faggioli and its former CFO Craig D. Huff. The charges involved bribes by NSP's Brazilian subsidiary to customs officials and false accounting to conceal the payments. The SEC's complaint alleged that Faggioli and Huff, in their capacities as control persons, violated the books and records and internal controls provisions of the securities laws in connection with the Brazilian bribes. See our post here. The Securities and Exchange Commission filed a settled enforcement against Nature's Sunshine Products Inc. (NSP), its Chief Executive Officer Douglas Faggioli. 54, and its former Chief Financial Officer Craig D. Huff, 53. According to the SEC, the charges relate to cash payments made in 2000 and 2001 by the Brazilian subsidiary of NSP, a manufacturer of nutritional and personal care products, to import unregistered products into Brazil and the subsequent falsification of its books and records to conceal the payments. NSP will pay a civil penalty of $600,000; Faggioli and Huff will each pay $25,000. The SEC's civil complaint alleges that, faced with changes to Brazilian regulations which resulted in classifying many of NSP's products as medicines, NSP's Brazilian subsidiary made a series of cash payments to customs officials to import product into that country and then purchased false documentation to conceal the nature of the payments. The conduct violated the Foreign Corrupt Practices Act, and the antifraud, issuer reporting, books and records and internal controls provisions of the federal securities laws. The complaint also alleges that Faggioli and Huff, in their capacities as control persons, violated the books and records and internal controls provisions of the securities laws in connection with the Brazilian cash payments. NSP also failed to disclose the payments to Brazilian customs agents in its filings with the SEC. The civil injunctive action filed in the United States District Court for the District of Utah alleges that NSP violated Sections 10(b), 13(a), 13(b)(2)(A), 13(b)(2)(B) and 30A of the Exchange Act, and Rules 10b-5, 12b-20, 13a-1 and 13a-13, and that Faggioli and Huff violated Sections 13(b)(2)(A) and 13(b)(2)(B) as control persons pursuant to Section 20(a) of the Exchange Act. In its own statement, NSP said "no current NSP officers, directors, or employees are alleged to have participated in or had knowledge of any of the improper conduct alleged in the complaint, which occurred approximately eight years ago. . . . Nature’s Sunshine now believes that all government investigations relating to potential FCPA violations by the Company or related persons have been fully resolved. The Company anticipates no action by the Department of Justice (“DOJ”) in a previously disclosed investigation relating to these events." NSP said it self reported the results of its internal investigation to the SEC and the DOJ and "fully cooperated in the government investigations." The DOJ has not indicated if it will pursue criminal prosecution of anyone involved in the case. 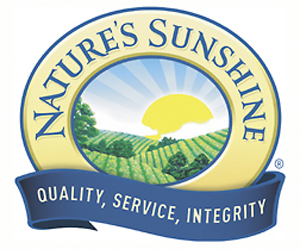 Nature's Sunshine Products Inc. trades on the Over-The-Counter Bulletin Board (OTCBB) under the symbol NATR.OB. View the SEC's Litigation Release No. 21162 (July 31, 2009) in SEC v. Nature's Sunshine Products, Inc., Douglas Faggioli and Craig D. Huff, Case No. 09CV672 (D. Utah) here. Download a copy of the SEC's civil complaint here.